Public is welcome. RSVP and reserve your seat by clicking "Register" below. See you there! Family Worship Center, 15285 S.W. Indianmound Drive, Indiantown, FL, 34956 off State Route 710/Beeline Hwy/Warfield Blvd, north on SW Citrus Blvd, left on SW Indianmound Dr., ½ mile on right. 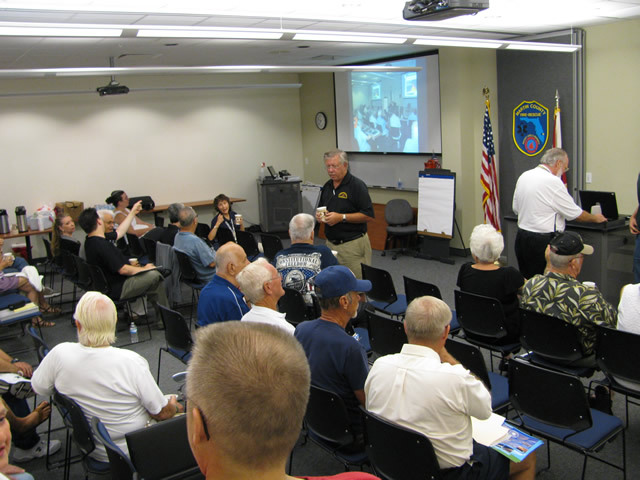 This SKYWARN Spotter Training class, taught by a National Weather Service meteorologist, will give you all the info needed to become a registered SKYWARN spotter for the National Weather Service (NWS) Center of Melbourne, Florida. At the end of the class you will be issued a SKYWARN spotter number along with information to report weather phenomena directly to your local NWS Center.